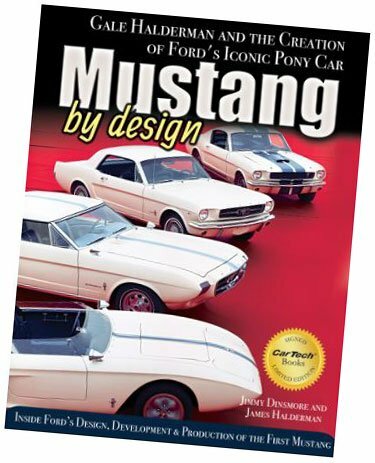 As an original owner of a 1969 Candy Apple Red Mach 1, I jumped at the chance to read Mustang by Design, written by James Dinsmore and James Halderman. 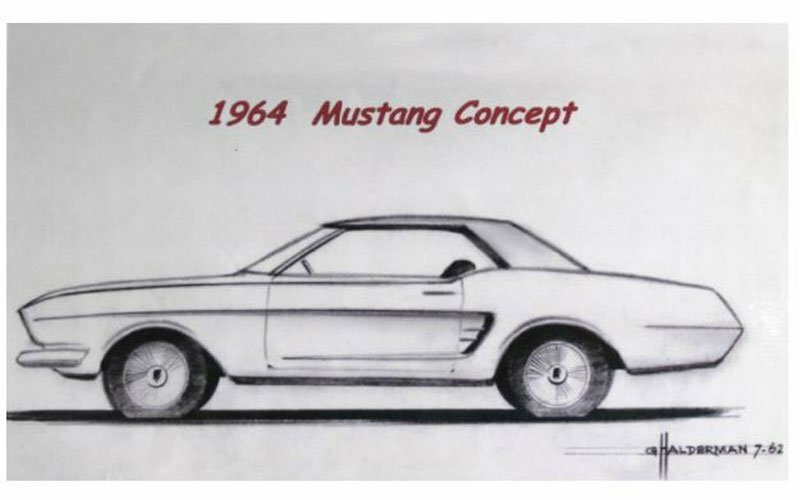 Although I was familiar with the stories of how the classic Mustang burst onto the car scene as the brainchild of Lee Iacocca, I thought it was interesting to learn who was actually responsible for penning the original Mustang design. In Mustang by Design, we learn it was Gale Halderman, working in Ford’s design studio, who had a big role in how the Mustang would look. From his studio chair, Gale had a front row seat watching (and participating) in the birth of the Mustang. When the “Special Falcon” project (as it was known before it became “Mustang”) came along at Ford, Gale and others in the studio were tasked with the concept and design. It was the team’s job to come up with a car that met three primary criteria: (1) it needed to be targeted for a younger two-car family, (2) it should appeal to both men and women, and (3) it had to be sporty. That is certainly a lot to ask of any one car. The following is the hand-drawn sketch Gale submitted in 1962 of the now iconic long hood/short deck design with his signature side scoop. His rendering caught the attention of Ford officials. From its primitive penciling you can see the DNA for a new car that would sell more than a million units in less than two years. As it turned out, Gale, like the car, was at the right place at the right time. He became deeply involved with the project, which was targeted for an aggressive mid-year release in 1964. As always, the Big Three automobile manufacturers were in a battle for market share, the stakes for Ford being particularly high after the Edsel disaster in the late ’50s. With Gale’s fresh new design concept, the Blue Oval team turned the concept into a production vehicle and the pony car craze was born. Gale then went on to leave his mark on many other Ford, Thunderbird, Mercury, and Lincoln models through his long 40 year career with Ford. To Gale this was just part of his job and he stressed that it was always a team effort by all the departments working together to produce a vehicle that not only appealed to the public, but was competitively priced. In the case of the new Mustang, the team definitely hit a home run. Ford’s Mustang is one of the great marketing successes of the 20th Century. Within its first 18 months the Mustang sold over a million units. For just one model that was a record. The Mustang was the star of the New York World’s Fair in 1964. Ford had to rush to get the Mustang into production in time for the April opening of the World’s Fair where Ford Motor Company and Walt Disney Studios were the stars of the show. Disney designed a “Skyway” ride at the Ford Pavillion where fair goers from all over the world rode in Ford model cars on a Journey Through Time. (Click here to view a period video of the 1964 World’s Fair.) 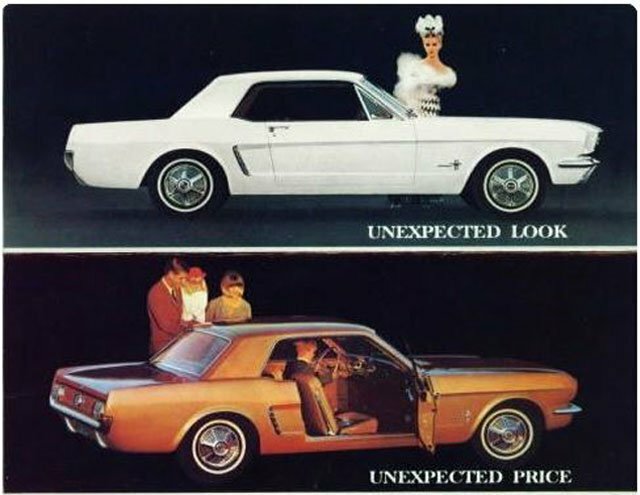 It was the first time anyone had seen the Mustang and it is the car they remembered most. This 175-page book, with loads of historical photographs, is co-authored by two accomplished automobile journalists, James Dinsmore and James Halderman, who is a cousin to Gale Halderman. It is an informative and engaging read, particularly for anyone interested in the “Mustang Invasion.” It also gives a peek inside the workings of a major car company, including Gale’s interactions with many of the top brass at Ford, including the “Deuce” himself, Henry Ford II. This is not secondhand information, but directly from a guy to who was in the center of it all when it happened – Gale Halderman. Regardless of your brand loyalty, the introduction of the Ford Mustang must be recognized as one of the most successful new automobile concepts to ever come out of Detroit, and this is the inside story of what it took to pull it off.